HONG KONG, March 26, 2015 /PRNewswire/ -- So Klose is proud to announce that its service team successfully passed the second ISO9001:2008 QMS recertification audit with zero non-conformities in end-2014 which was certified by SGS, first within the industry in Asia. So Klose has been an ISO9001:2008 certified matchmaking and dating services company since 2011 and was recertified in December 2014 with zero non-conformities in end-2014 which was certified by SGS, first within the industry in Asia.. The recent audit examined So Klose's business practices and internal management procedures to ensure they meet international quality standards and customer requirements. The audit also examined processes for continuous improvement in customer satisfaction, procedural control, training and internal communications with an overall customer satisfaction rate of over 96%. This is So Klose's second ISO certification. "Obtaining the renewed ISO:9001 certificate strengthens our reputation as a trustworthy service provider and assures our present and prospective clients that our quality is beyond standard in the marketplace," says Carolyn Chan, Director of So Klose. "External certification of our quality management system is an independent validation of So Klose's commitment to quality. It provides an invaluable edge in the matchmaking and dating services sector and offers an accredited approach to deliver quality services, improves our business processes and expands our business opportunities." The majority of its members (97%) hold university degrees; about half of the male members and female members have studied abroad. 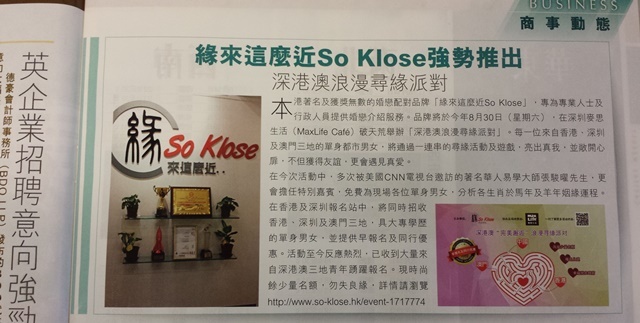 So Klose® has received first-time industry awards, such as: "The Most Reliable Dating and Matchmaking Services Company" at Hong Kong's Most Valuable Companies Awards 2014; the "China's Top Ten Model Brands in Matchmaking, Dating and Personal Introduction Services"; "16th Tao Heung Innovative Entrepreneur Award"; "2011 Hong Kong Emerging Service Brand"; the ISO9001:2008 QMS certification, first within the industry in Asia, and the "Intellectual Capital Management Excellence Award", as well as the "national matchmaking consultant" qualification awarded by the Ministry of Human Resources and Social Security of China, and the "Executive Member" and "Certified Matchmaker" qualifications awarded by the Matchmaking Institute of New York, USA. 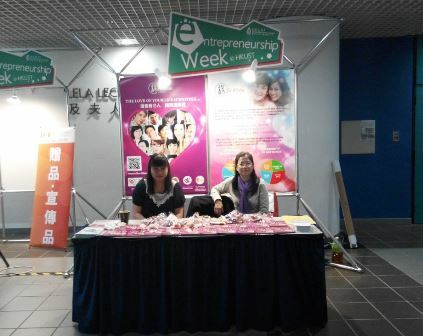 So Klose held an exhibit booth successfully at Hong Kong University of Science and Technology (HKUST) on 25 March 2015 during the Entrepreneurship Week campaign. The booth attracted steady interest throughout the exhibition and gave us the opportunity to share and meet the HKUST elites so that they could learn more about So Klose’s brand and services. 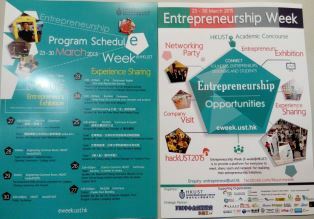 The HKUST "Entrepreneurship Week 2015" is a unique opportunity to connect and network with start-up companies, entrepreneurs and business groups in the region. There are more than 150 start-up companies and organizations from education, design, internet, ecommerce, retail, high tech companies and other industries to participate in this event. So Klose will have a booth at this essential event at the HKUST campus on the following date and time. Carolyn Chan has been elected and appointed as the Director to 2015-2016 Innovative Entrepreneur Association (IEA)'s Board of Directors at The 5th Inauguration Ceremony of the Board of IEA which was held at Royal Plaza Hotel on 4th March 2015. Carolyn is the founder of So Klose and a winner of Innovative Entrepreneur Award 2012. She has been serving as a full member of IEA since 2012. As a Director, Carolyn's role will assist the Board of Directors in shaping the future of the organization; to support and promote the IEA's events and activities of interest to IEA as well as to enhance the vitality of entrepreneurship in the community. IEA was established as a non-profit organization in 2008 by a group of “Innovative Entrepreneur Award” winners. They are local entrepreneurs who have come together with the following objectives: to promote the spirit of innovative entrepreneurship, to develop a strong support network, to create practical and innovative learning and business opportunities for themselves and for others, to cooperate with the government and other organizations, to share the experience and business strategies with other winners, to assist entrepreneurs who face difficulties and provide feedback to improve the competitiveness of Hong Kong. 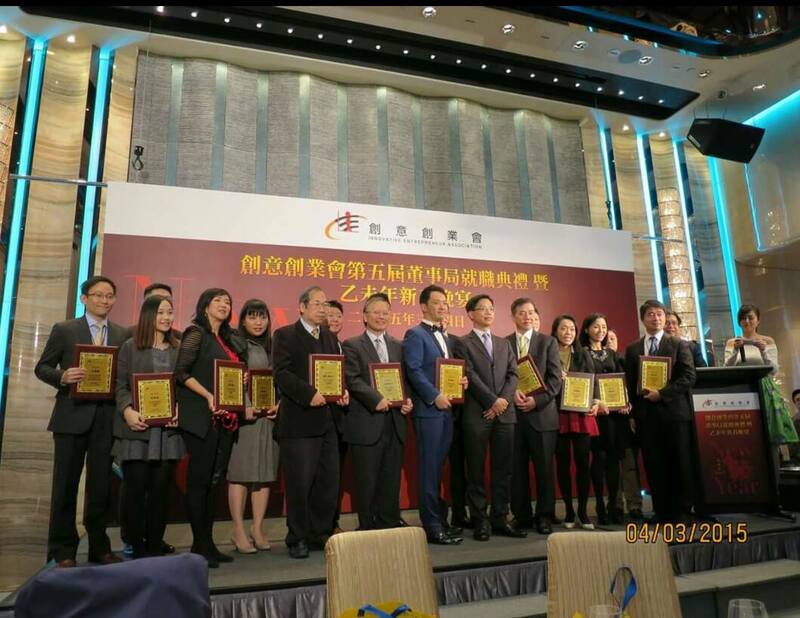 Based in Hong Kong, the Association reaches out and establishes relationship with counterparts in Mainland China and abroad. 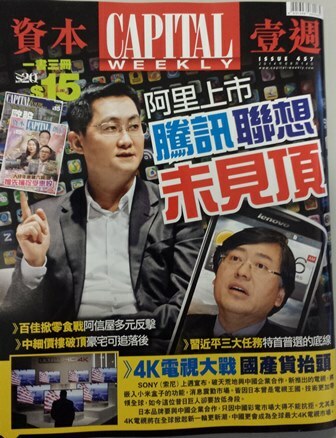 So Klose is a Gold Sponsor for HKUST’s Orientation Camp in Mid-August 2014. HKUST’s Orientation Camp is organized by The Marketing Students’ Society, the Hong Kong University of Science and Technology Students’ Union, Session 2014-15, also known as MKSS, is a non-profit making student association established in 1992. It aims at enhancing members’ understanding in the field of marketing through various functions as well as providing them with welfare. The Orientation Camp provides an opportunity for freshmen from the School of Business and Management as well as other schools such as Engineering and Science to familiarize themselves with HKUST and our Society. It helps cultivate friendship among participants and also a sense of belonging to both HKUST and our Society. During the registration days of Orientation Camp, there are about 1,000 students from different schools will participate in this event. 在今次活動中, 多次被美國CNN電視台邀訪的著名華人易學大師張駿曜先生, 更會擔任特别嘉賓，免費為現場各位單身男女，分析各生肖於馬年及羊年姻缘運程。 在香港及深圳報名站中，將同時招收香港、深圳及澳門三地，具大專學歷的單身男女, 並提供早報名及同行優惠。活動至今反應熱烈, 已收到大量來自深港澳三地青年踴躍報名。現時尚餘少量名額, 勿失良緣，詳情請瀏覧http://www.so-klose.hk/event-1717774. 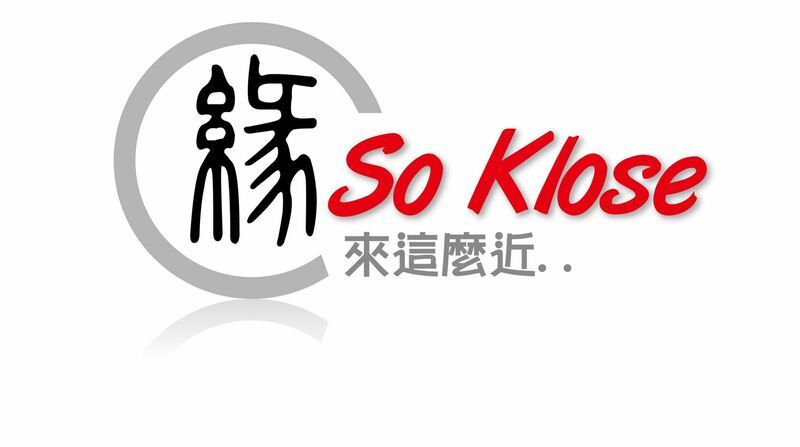 The famous multi award-winning dating and matchmaking brand “So Klose”, which dedicated in providing marriage introduction service for professionals and executives, will organize first-ever event of “Shenzhen-Hong Kong-Macao Romantic Encounter Party” at MaxLife Café in Shenzhen on 30th August (Saturday). Every single man and woman from Hong Kong, Shenzhen and Macau is seeking his/her potential partner through a series of activities and games. The participants will open their hearts through the event, not only win the friendship, but will meet true love. In this event, the special guest, Mr Albert Cheung who is a renowned I-ching Master and has been repeatedly interviewed by the famous CNN television in the US, will provide free of charge analysis on marriage astrology and fortune for each Zodiac Year in the year of the Horse and Goat. Registration stations in Hong Kong and Shenzhen will recruit the single men and women from Hong Kong, Shenzhen and Macau with tertiary education; and to offer early bird registration or joining together discount. Till now, the company received the overwhelming responses from the three places. At present, a small percentage of seats are available to purchase, please grasp this golden opportunity to meet the one. 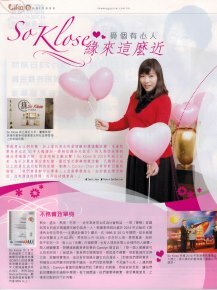 For details, please visit http://www.so-klose.hk/event-1717774.